The Rollins family has been very dear to our family for the last few years, and we are always touched to learn how God uses them to share God’s love with others in the most difficult of times. It amazes me how even their kids take initiative and find ways to reach out to hurting kids through the ministry! I have asked them some questions to find out more about their ministry and how kids can get involved in serving through it. This month I have another exciting highlight from the Dennis family about their ministry to refugees and international students. Jennifer Dennis has been working with internationals for three years and has found some great ways to reach out to refugees and international students with her whole family. I recently met a wonderful lady named Victoria who is part of a refugee ministry. Her family ministers to refugees from countries all over the world. I was amazed by her heart for serving others and how she and her husband, Sergrey, have involved their whole family in sharing God’s love with others. I have had the privilege of knowing the McMullen family for many years and hearing first hand their stories of bringing children into their home through foster care and adoption. I know the road has not always been easy for them, but seeing their beautiful children become part of their family and watching how God uses them to impact other families by their ministry is inspirational. Hurricane Harvey brought devastation to much of the Houston area with flooded homes, buildings, and loss of basic resources. An abundance of help was needed, and many felt led to go out and serve those in need. One of those families was the Ming family. With eight kids and a new baby, they had every excuse NOT to help, but because they are a family that prioritizes serving others, they put their kids to work and found ways to bless those who needed assistance. This month I am highlighting the Brown family. 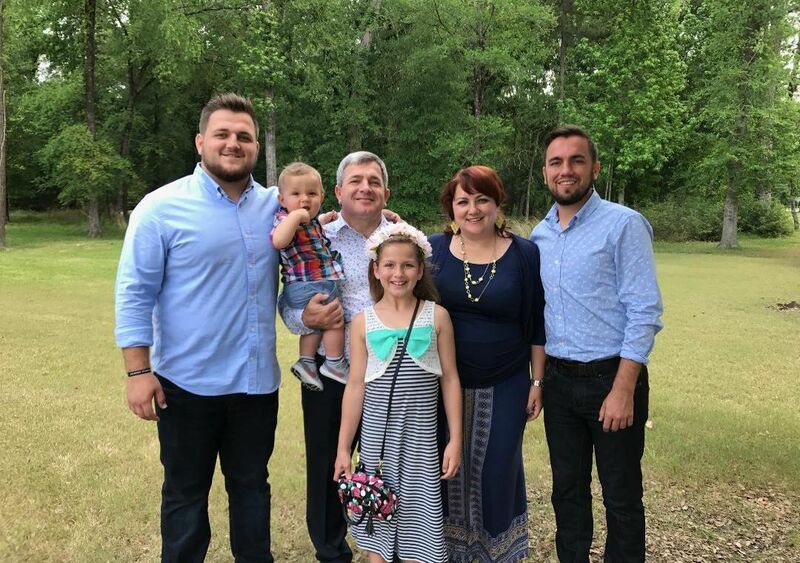 Amy Brown has a special story of how God gave her a vision to do something special that no one had ever thought of at her church to reach children with the gospel. The idea is so amazing, that I believe it needs to be replicated at other churches with food and/or clothing pantries.